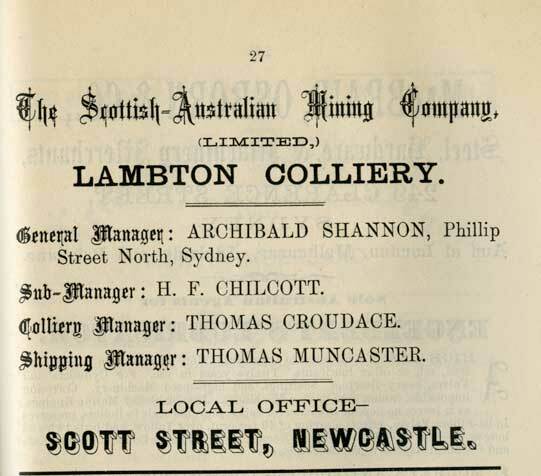 Advertisement for Lambton Colliery, 1887. From the Newcastle Nautical Almanac 1887, University of Newcastle, Cultural Collections. 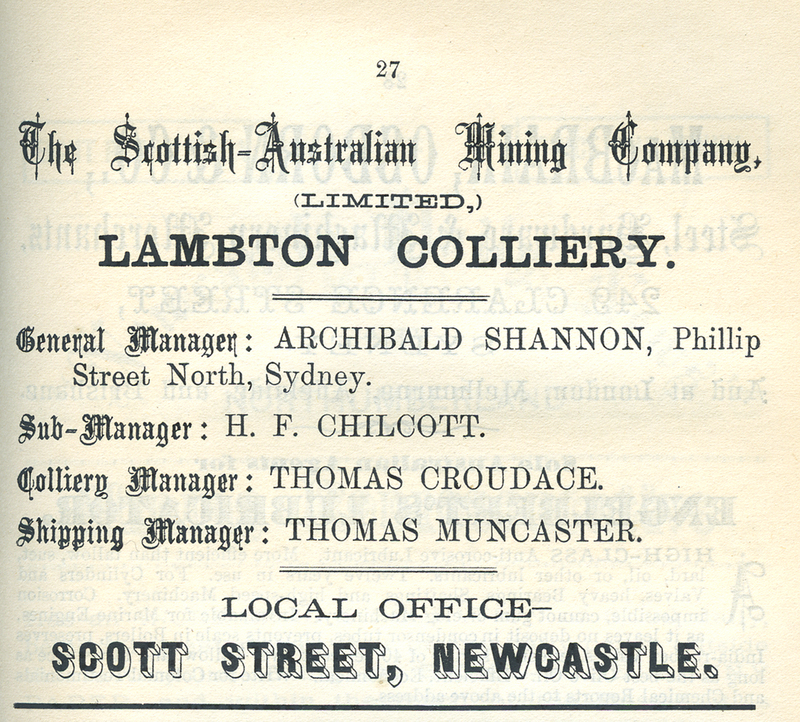 Thomas Croudace was from County Durham, an infamous coal mining district in England, He was a young mining engineer of 23 when he was employed to establish and manage a mine for the Scottish Australian Mining Company. He named the mine Lambton after the Earl of Durham’s property in England. In the early 1890s he became the company’s general manager. This company entered the market when there was an oversupply of coal. Thomas, along with a colliery enginewright Isaac Bowman applied for the establishment of Lambton School. He was also the mayor of New Lambton, and opened the council chambers there in 1891, and the Vice President of the Newcastle Chamber of Commerce.